The new My Clarins recipe? Only good things for healthy-looking skin! Extra-Firming Phyto-Serum & Extra-Firming Eye. Ready for your best selfies? Clarins got you covered, thanks to the new Spring Make-Up Collection. In 20 matte shades your lips will love. Ready for a little me-time? Powered by [20+1] potent plant extracts, Double Serum decodes the language of youth for visibly smoother & younger-looking skin. Clarins' innovative dual-phase technology assures speedy absorption, and a perfectly sheer result. 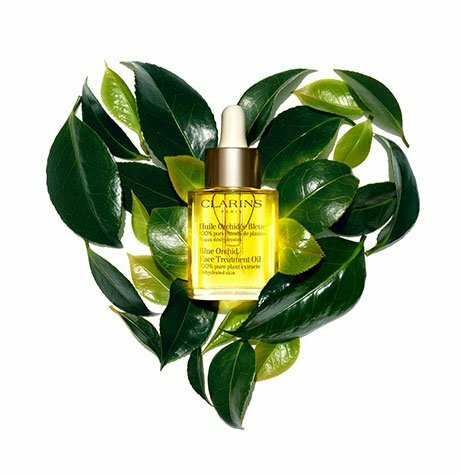 Discover the Double Serum Application Method - Clarins' hands-on way to enhance the benefits of this unrivaled anti-ageing treatment.